Delicious chocolate sponge cake rolled and covered with a creamy chocolate frosting (8 to 10 portions). Delicious vanilla sponge cake rolled and covered with a creamy raspberry frosting (8 to 10 portions). Delicious vanilla sponge cake rolled and covered with a creamy vanilla frosting (8 to 10 portions). A beautiful box overflowing with delicious treats. Choose 12 sweets among adorable bite-size desserts such as mini cupcakes, mini donuts, macarons, etc. to create a box of love to gift for the holidays. 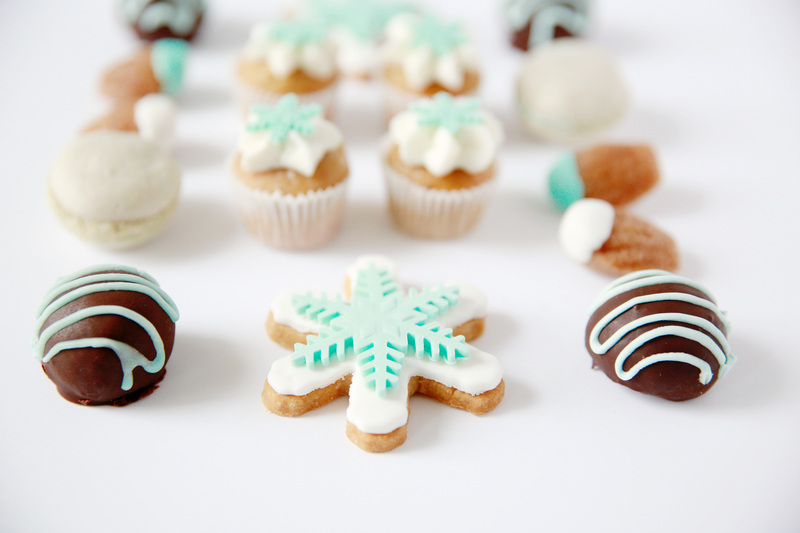 Our classic gingerbread cookies are back cuter and yummier than ever! To give or to enjoy, Petit Lapin sugar cookies are the perfect holiday treat. Plus, they are so cute! Holiday Cupcakes are back! A dozen with six flavours: vanilla, chocolate, peppermint, gingerbread, red velvet and coconut. Delicious biscuits covered with fondant with holiday image, on which you can color with a paint brush and a color palette. Each box contains 4 biscuits, a palette of 4 colors and 1 brush. 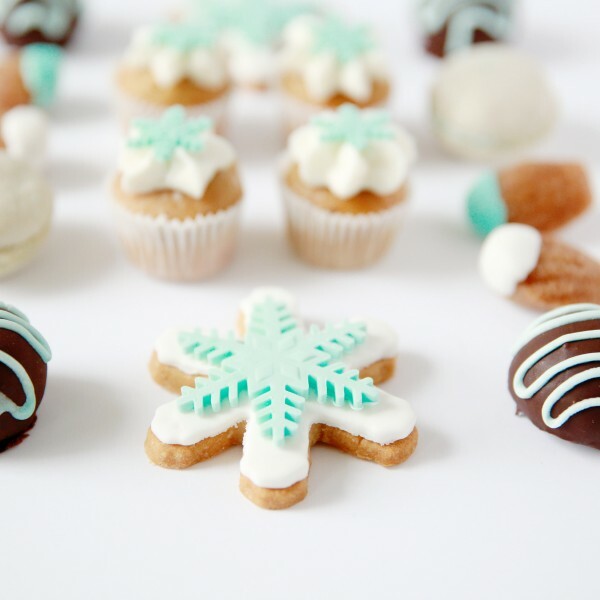 Our Holiday Collection contains deliciously decadent sweet treats, vegan, all free of the top ten allergens and gluten. This little sweets is an indispensable addition to your holiday meals!